As �The Home of Super Duplex� reaches our 80th anniversary, Langley Alloys has completed a comprehensive upgrade of our UK site, optimising the stocking and processing capability, following 12 months of continued investment. This year marks not only our 80th anniversary, but also one of the busiest in the company�s history. Our roots date back to the development of unique alloys for naval and airplane applications in the 1930�s and 40�s, with our alloys used in the engines of Spitfires. We are also responsible for the development of Ferralium� 255-SD50 and Hiduron�, high-performance alloys widely used in demanding applications for oil & gas, naval and subsea applications. 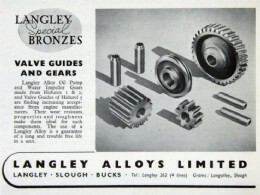 After relocating to Stoke-on-Trent in 1996, Langley Alloys has operated from its current purpose-built facility since 2008. In the last 12 months, we have invested in four new saws, including three large Kasto saws operating carbide blades necessary for processing higher-strength nickel alloys. The latest stage of the site upgrade includes additional racking for bar stock, accommodating our increased stockholding of 25%, together with dedicated racking for goods inward and despatch to match our higher activity levels. We also announced a partnership with Sandvik as their UK partner for the distribution of duplex and super duplex stainless steel solid bars. 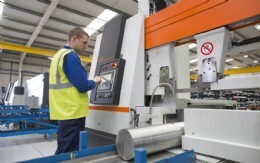 The addition of their Sanmac� 2205 and SAF2507� to our product range has seen a significant uplift in activity, end users appreciating the enhanced machinability as standard from the Sanmac� material. As UK partner for Zollern GmbH forge and foundry, we are also seeing opportunities to share their pattern-less casting capability and high-quality in complex alloys with our customers. As the �Home of Super Duplex�, our stock levels have grown to ensure the depth and choice of sizes needed to support demand from BVAA members as the market recovers. Additional investment has seen our nickel alloy range broadened to now include Alloys 625, 725, 825 and 925 in support of 718 and K-500, together with smaller diameter Alloy 254. Although it�s been an incredibly busy period, the development story does not end here. 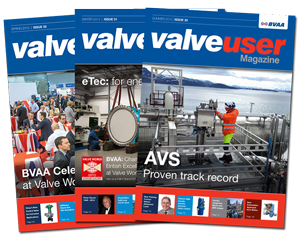 We hope to share further announcements with the BVAA membership in the next edition of Valve User.